Bottom line is they make great film positives. As a bonus they are packaged better than any other films I have used and you cannot beat the price. These are premium films. For years we've bought this type of film from another supplier and paid much more. I was hesitant to switch because I was worried this film wouldn't be as good of quality but we are using our 5th pack of it and it has worked great. If I take the time to actually write a review, it must be pretty bad or pretty good. I love this film and the service has always been superb. I wish some of my other vendors would be this great. Works well and it's a good price. We order 2 packs at a time and get free shipping. Extremely satisfied with the positives produced on this film. Never had a problem and don't expect to have any. Best film for the money! Good to go, by with confidence. I will Be pack for my photo positive needs 100%. ( I am Running Accurip on an Epson) Perfect Photo Positives. As I've only ever used two types of this product (including this one from Gold-Up), I couldn't give it five stars. However, it is a good product and maybe more importantly - it is a great value for the money. This film holds up well. I've been using it for 3 years now. I love this film, never had a problem. Use it all the time. Thank you for the service. 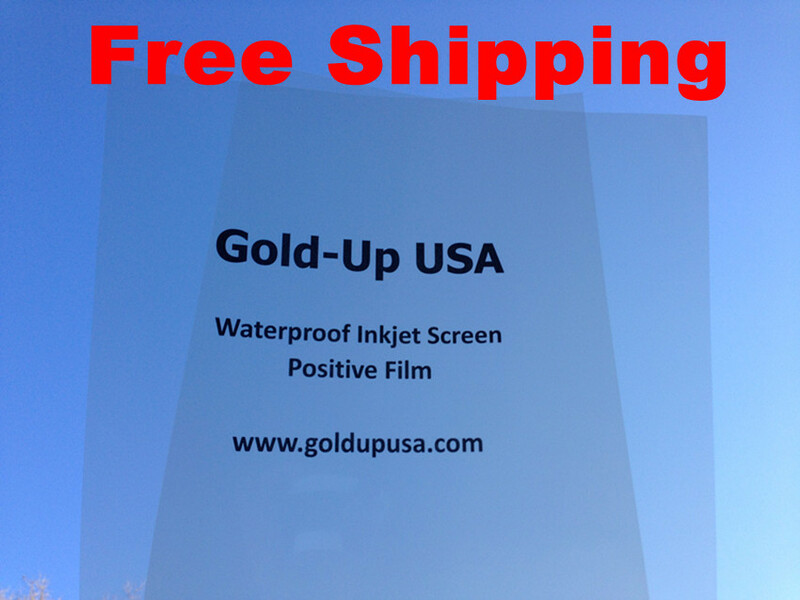 Click the button below to add the 13" x 19" Waterproof Inkjet Transparency Film - 100 Sheets to your wish list.